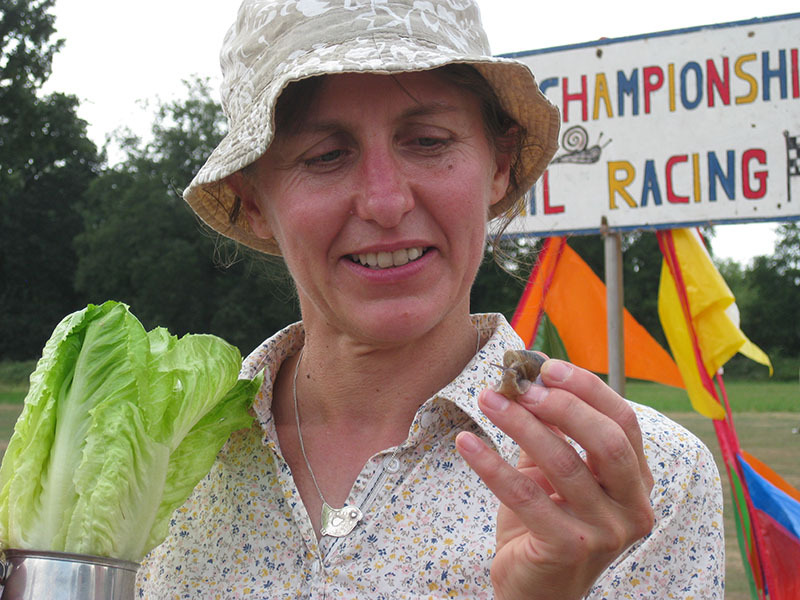 The 2018 championships were held on 21st July 2018 and this year's winner is a snail called Hosta (after the green plant) owned by Jo Waterfield from Grimston near King's Lynn. Hosta covered the 13 inch course in 3 mins 10 secs. Jo said "He spent all summer eating my hostas. I told him that if he didn't win I'd squash him!" 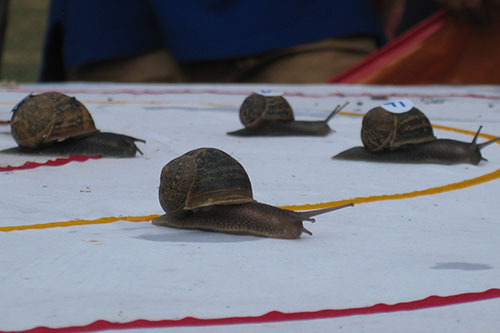 One hundred and ninety snails battled it out this year and there were 11 snails in the final. Jo Waterfield with her winning snail Hosta. Photo: © 2018 Mark Scase. All Rights Reserved. Video courtesy of Dave Painter, HUTC. 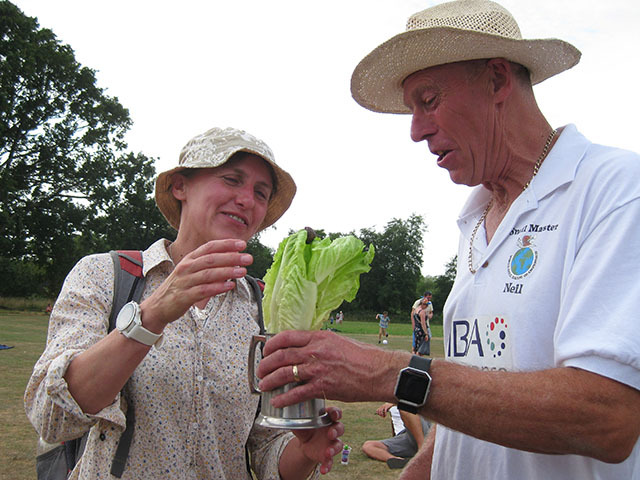 Jo and Hosta receiving the world championship trophy from snail master Neil Riseborough. Photo: © 2018 Mark Scase. All Rights Reserved. 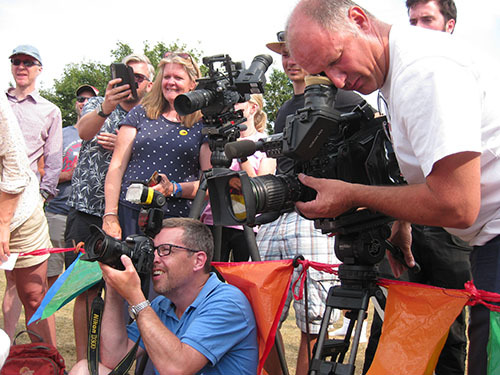 The start of the 2018 race attracted crowds and intense media interest. Photos: © 2018 Mark Scase. All Rights Reserved. Snails competed over the 13 inch course and Hosta raced to the red tape finish. Photos: © 2018 Mark Scase. All Rights Reserved. 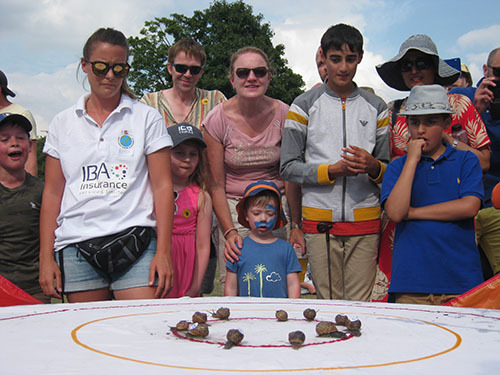 The next Championships will be held on 20 July 2019 on the cricket field at Congham, Norfolk, UK (nearest postcode PE32 1AH). 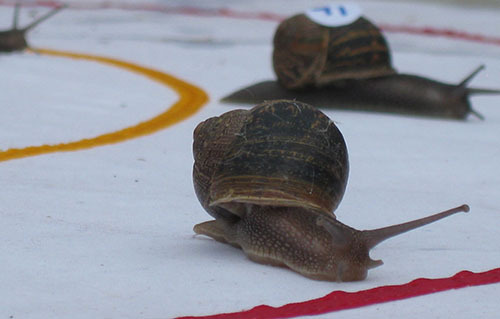 Copyright © 1999-2018 World Snail Racing. All Rights Reserved.